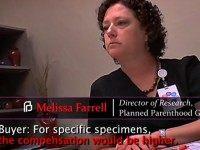 Planned Parenthood President Dr. Leana Wen’s claim that most late-term abortions are performed due to “severe fetal abnormalities” or “serious risks to the woman’s health” is not even supported by abortionists. 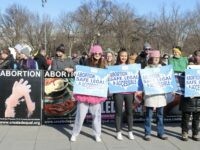 WASHINGTON, DC — Pro-abortion activists attempted to use National Abortion Federation signs to block the banners of pro-life demonstrators during the “Women’s March” in Washington, DC, on Sunday. 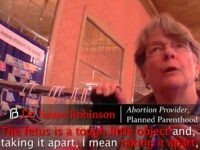 The undercover journalist who stunned the nation with a series of videos exposing the alleged fetal tissue practices of Planned Parenthood has filed a petition seeking to disqualify the federal judge who has banned links to remaining footage of his recordings. 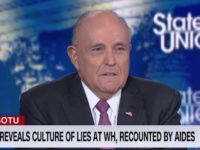 The video journalist who rocked the nation with his shocking recordings of Planned Parenthood officials allegedly involved in the sale of aborted baby body parts for profit, says he refuses to back down despite numerous attempts by the “abortion empire” to criminalize his work. 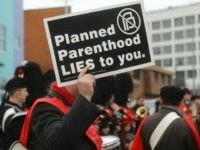 The attorneys general of 20 states have filed a brief that urges the U.S. Supreme Court to lift an injunction that has barred the release of the undercover videos exposing Planned Parenthood’s alleged practice of profiteering from the sale of aborted baby body parts. 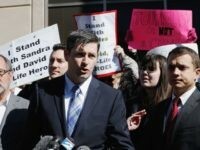 U.S. District Judge William H. Orrick has found the two criminal defense attorneys for Center for Medical Progress’s David Daleiden to be in civil contempt for having published video recordings of the National Abortion Federation (NAF) annual trade meetings. 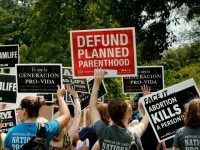 California Attorney General Xavier Becerra’s office has refiled charges against the video journalists who exposed alleged profiteering from the sale of body parts of aborted babies within Planned Parenthood and its partners in the biomedical procurement industry. 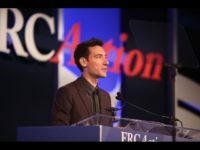 Attorneys for David Daleiden and the Center for Medical Progress (CMP) have filed a motion requesting the disqualification of the federal judge who ordered videos showing abortionists discussing dismemberment of unborn babies to be removed from the Internet. 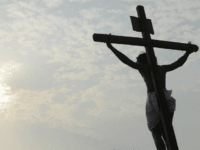 The National Abortion Federation (NAF) is posting its “hotline” hours to “answer any questions you may have about abortion, unintended pregnancy, or related issues” during the holidays. 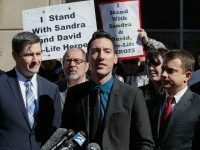 One of the charges against the pro-life Planned Parenthood video maker has been dropped. 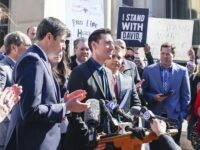 Lawyers for David Daleiden provided Breitbart Texas with a copy of the order from the Harris County criminal court judge dropping the Class A misdemeanor charge for prohibition of the purchase and sale of human organs. 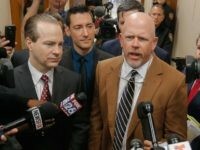 The pro-life operatives who took undercover videos in Planned Parenthood facilities and were indicted by a Harris County, Texas, grand jury, have been offered pretrial diversion in the criminal cases against them say attorneys for the pair. 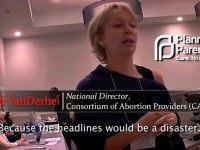 A new Center for Medical Progress (CMP) video featuring previously unreleased footage of representatives from the National Abortion Federation (NAF) – the major trade group of abortion providers – shows the Planned Parenthood ally suggesting a “group purchasing program” to supply fetal tissue from aborted babies to buyers and encouraging them to exhibit at its annual meeting. 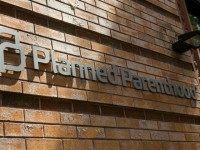 U.S. District Judge William Orrick issued an Feb. 5 injunction that bars the Center for Medical Progress from releasing covertly recorded videos of Planned Parenthood executives. 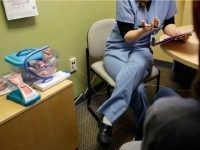 States such as Ohio and South Carolina are grappling with the discovery that Planned Parenthood and other abortion facilities are contracting with medical waste companies that dump aborted babies into landfills. 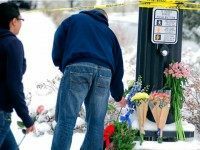 A federal judge cited the recent shooting at a Colorado Springs Planned Parenthood by a deranged man who registered to vote as an “unaffiliated female” as an indication the videos of National Abortion Federation (NAF) conferences – produced by the Center for Medical Progress (CMP) – placed abortion providers at risk. 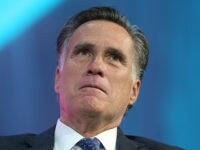 Judge William H. Orrick III, the federal judge who granted a temporary restraining order against the release of further videos depicting Planned Parenthood medical officials’ participation in the sale of the organs of aborted babies, is an Obama appointee and a major bundler and donor for Obama’s presidential campaign.